The latest issue of Blackhand Ironhead is out now from Panel Syndicate – name your price! 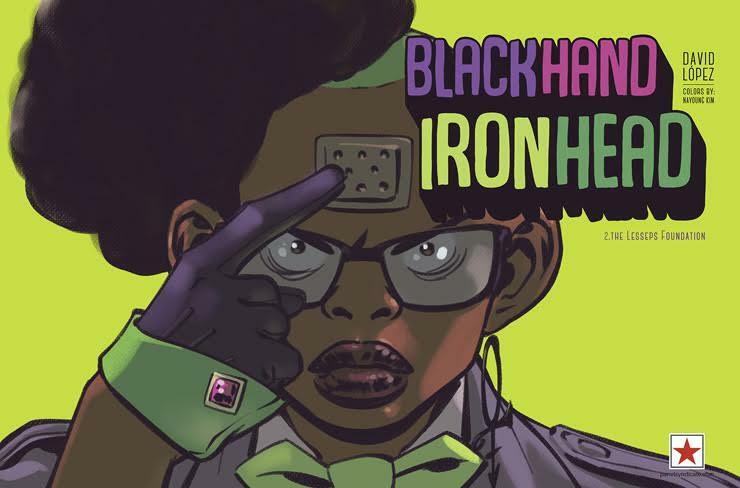 David Lopez’s new series BLACKHAND IRONHEAD is back with its second issue! The comedy about family, with superheroes but not about superheroes continues as Alexia gets to know her newfound sister better… and more about the company her father built and that she has just inherited! It’s Independence Day and nothing’s more independent than panelsyndicate.com! Name your price and celebrate in style! Immediate download of 26-page comic in your choice of PDF, CBR or CBZ. No DRM, no encryption, just plain files optimised for on-screen reading. Available in English & Spanish.